I was in the middle of my morning ritual of reading through the customary doom and gloom news stories that brightens nobody’s day, when I came across a small article that actually brought up happy memories. Apparently today marks the 15th anniversary of the release of one of R&B and hip hop’s greatest albums, The Miseducation of Lauryn Hill. I don’t know how this album was received everywhere else, but if you were living in NYC at the end of the summer of 98’ you could not get away from it. But to be honest, I don’t know anyone that wanted to anyway. This album by the incredibly talented and yet probably deeply disturbed Lauryn Hill is a classic in every single sense of the world. 15 years later and the album still sounds just as fresh, powerful, soulful and gritty as it did when it was first released. How many albums can you say that about them? I won’t bother to try and write a review about a 15 year old record, because I’m pretty sure that everything that I could write about this work of genius has already been written. But permit me to suggest something to you. 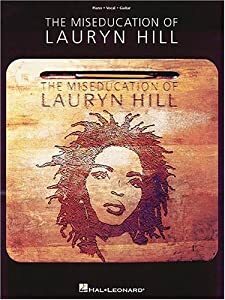 If you haven’t bothered to listen to The Miseducation of Lauryn Hill from beginning to end in some time, then I propose you get yourself reacquaint with Lauryn’s seminal work. If you happen to be one of those young bucks who loves good music, but have never had the pleasure to actually listen to the album from beginning to end, or heaven forbid, you never even heard of it, then do your ears and soul a favor and stream that sucka’ like right now. I promise you won’t regret it.